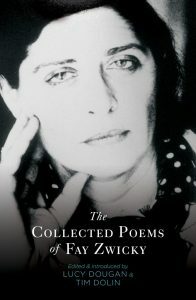 While it’s true that poetry collections generally work differently in their internal dynamics from prose ones, nevertheless the poems in a well-constructed collection do talk to each other and set up a subliminal hum of associations, consonances, dissonances, which can collectively evoke a sense of the poet’s inner world and orientation to the outer world; a sense of the poet’s way of being in the world, an internal coherence. This is certainly the impression created by the poems of Domestic Interior, a collection disarming in its seeming absence of contrivance; its ability to write the personal/ subjective in ways and modes that do not follow the confessional prototypes of earlier generations; its air of vulnerability and implicit acknowledgement of the precariousness of being, which we all share, but which is Fiona Wright’s lot in perhaps greater measure than most. These aspects of the poet’s perception of and attitude to the experience of living in outer and inner Sydney suburbia, and in her own skin and consciousness (her own particular and personal “psychic geography”) are variously manifested in elements of idiosyncrasy, superstition (and idiosyncratic superstition); phobias, the mock-sinister that lurks in the banal suburban settings of Gothic imaginings and figments of fancy, for instance in the poems “Inner Suburban Omens” (24); “Suburban Monsters” (28); “Charm Against Casual Cruelty” (62). A black dog leashed to a bike rack bespeaks fair weather. There’s always several hiding in the fridge. Domestic Interior is arranged in five sections, with the part-titles Origin; Never Simple; Elsewhere; A Crack in the Skin: On Illness; Enviable: Love Poems. Origin circles through suburban landmarks and events familiar to the poet, focusing on such topics as Miranda Fair, Sunday en famille; “Centro: Bankstown”; “Tupperware Sonnets”; whereas the second section, Never Simple, introduces quirkier, darker, sometimes sadder themes, as in the two poems quoted above, and the title poem, which, as Wright explains elsewhere, is a response to a short-notice eviction pending the sale of a share-house where she had been part of an urban family. of light refracting: I have lived in a belly of sun. have always died, I have loved this house. The poems in Elsewhere evoke a sense of vulnerability, angst, evanescence, new discoveries, wonder. A Crack in the Skin: On Illness casts an at times forensic eye on the elusiveness of wellness and the implications of this. Recurrent themes in these poems echo those identified by Gabriella Munoz in her review of The World Was Whole (cited earlier) as body, home, food, ritual. For months, we held on only by our rituals. or oriental lily. Wrap these in raw silk. 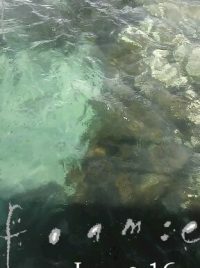 In the poems of this collection, attention to detail, often interior, sometimes bordering on the obsessive, is balanced by more expansive vistas of the natural world, as in “Wallis Lake”, “Riverina”, “Flowering Cherry”, “Surely”, and other poems. 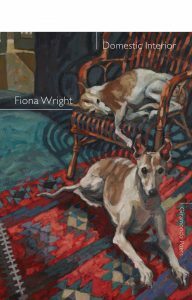 Space, in various senses, is something Wright is acutely conscious of, and attentive to. (“I want…to be/ my own psychic geography.” – “22 Days”). There is a tension set up involving different kinds of space; between an impulse to freedom and various forms of constraint; between a sense of precariousness and fragility and the courage and strength to survive and celebrate the minutiae of daily life. Hallmarks of Wright’s poetic style include her delicacy and lightness of touch, her deftness in negotiating painful terrain with an understated grace. In “Small Sad Poem”, the themes of space; the body, its interior life; the human condition and its mutability; animal incomprehension and inchoate sadness in the presence of mortality: the mysterious nature of being – coalesce in nine spare, eloquent lines. Did we carry sadness in our heavier bones? the sorrow in our marrow? from the salt of our own skins?